The winter solstice (also known as midwinter or yule) is the shortest day of the year, when we have the least amount of daylight and the longest, darkest night. It’s also known as the “rebirth” of the sun; the days start to grow longer from the winter solstice until the summer solstice in June. 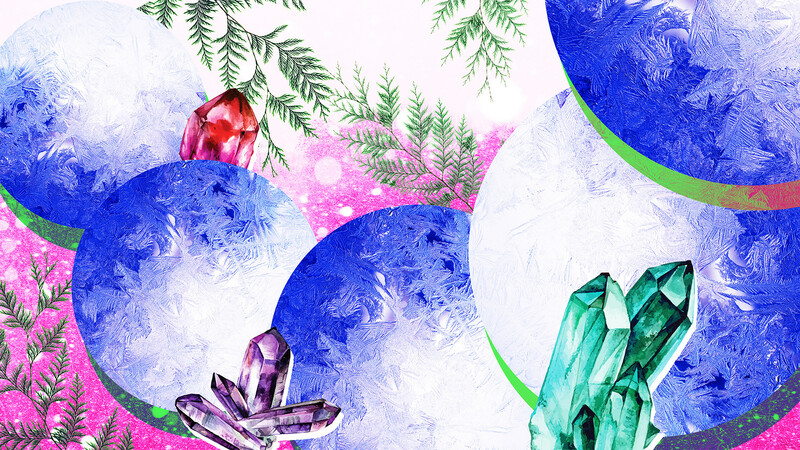 Winter solstice celebrations represent a spark of light in the darkness, and the holiday can also serve as an opportunity for rest, contemplation and conceiving new life — metaphorically or even literally. The solstice provides a moment for meaningful rituals to honor the season. But are those rituals too esoteric to include children? Absolutely not. I celebrate solstice/yule with all of my three kids, and there are so many beautiful ways to recognize this day as a family. 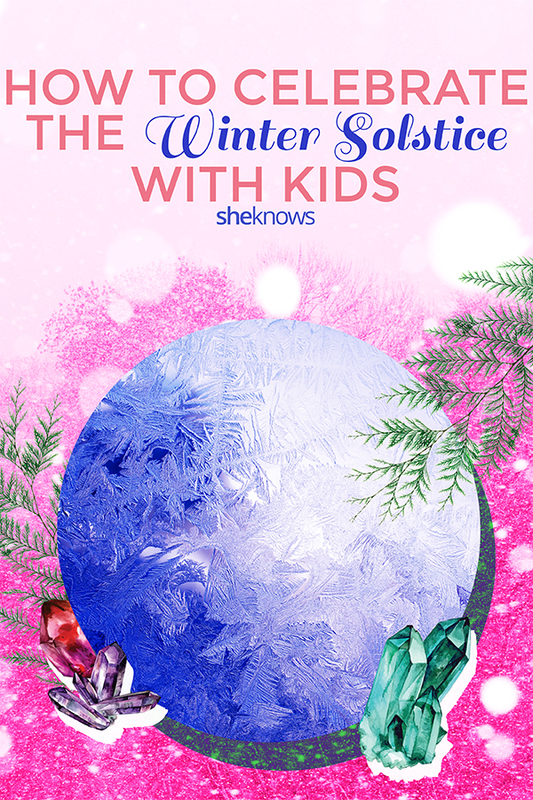 To start, I would spend some time reflecting on your intentions for the winter solstice so you can explain to your children what the holiday means to you and maybe even weave in existing traditions from other holidays you celebrate during this time. For example, I also celebrate Christmas with my kids, so we put up our Christmas tree on the day of the solstice. But do whatever makes sense for you and your family. Below are some of my favorite rituals to involve kids of all ages in the midwinter celebrations this week. Decorating your tree on the day of the winter solstice lets you create a simple and fun ritual with your family — and get everyone involved. Take time to go out and search for the perfect tree with your family, whether you all end up roaming the forest or just walking around a store. When you bring it home, set a festive tone by lighting candles or burning incense; play some music (Christmas music is not required). Then get out your favorite decorations or make your own. I start with a tree blessing — “Thank you, tree, for bringing your energy of stability and strength into our home and helping us to enjoy this winter solstice” — which you can use or create your own. There’s no right or wrong in ritual; it’s whatever feels good and grounding for your family. Then we decorate. Each family member adorns the tree with their favorite ornaments as well as elements of nature such as pinecones, feathers, twigs and herb bundles. I also like to brew a special tea on the solstice using seasonal ingredients: elderberry, juniper berry, hawthorn berry, pine needles, ginger, hibiscus and cinnamon. An altar is a place to put meaningful items and also to create beauty and warmth in your home. You can use your mantel or a simple shelf or table; you can have one altar or many throughout your space. This option is great if you don’t want a cut tree or like to keep your celebratory objects out all winter long. I like to take the kids outside on a nature walk or hike to find some fun things to include; we all pick out a few special items, such as evergreen boughs, pine cones, holly, small stones, twigs, feathers and acorns. Add gold or yellow candles to represent the returning sun — crystals or really anything bright and shiny will do well too. On the evening of the solstice, my kids and I take a moment to light the candles on our altar and say a prayer of gratitude for the sun together. You can do this every night until the candles burn out or let the candles burn all evening. A candle ceremony is a ritual to welcome back the sun as well as honor the power of the darkness, which gives us the space for rest, quiet time and contemplation. I like to have one large pillar candle for this ritual, plus a small candle for each family member. Start with a holiday feast of your favorite seasonal foods, and after dinner, clear the table and set up the larger candle in the middle to represent the sun. Turn off all the lights in your home and take a few moments in darkness and silent reflection. Then light the large candle and say a prayer or blessing to thank the sun for its nourishing light. One at a time, each person can light their candle from the middle flame (smaller children will need help with this) and say a special thank-you or set an intention for the coming year. When you are finished, extinguish your flames and welcome back the sun. My kids and I like to sing a song here as well — “This Little Light of Mine” or something else. If your children are all very small, you can replace the candle in this ceremony with a small bell and have each child ring it in turn instead of lighting a flame. Bells have been used by many cultures during ceremony and are commonly used during this time of year to “ring in the new” and bid the old goodbye. Going around the circle, each family member can speak a wish for the coming year (for themselves or for the planet). I love celebrating solstice and other Earth holidays (days when we celebrate the relationship of the Earth to the sun) because they affect absolutely everyone on our planet — regardless of location, religion or ethnicity. For me, teaching these holiday traditions to my children also teaches them unity. When we take time to honor the Earth as our home, we feel more connected to nature and its rhythms — which makes us more connected to each other as humans too.